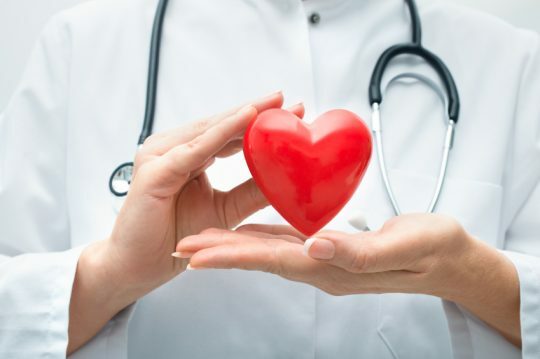 The perfect gift this Valentine’s Day is the gift of heart health. Along with Valentine’s Day, February marks American Heart Month, a great time to commit to a healthy lifestyle and make small changes that can lead to a lifetime of heart health. Heart disease is the leading cause of death for men and women. While Americans of all backgrounds can be at risk for heart disease, African American men, especially those who live in the southeast region of the United States, are at the highest risk for heart disease. Additionally, more than 40 percent of African Americans have high blood pressure, a leading cause of heart disease and stroke. That’s why this February during American Heart Month, Million Hearts® is encouraging African American men to take charge of their health and start one new, heart-healthy behavior that can help reduce their risk of heart disease and stroke. African American men can make a big difference in their heart health by taking these small steps during the month of February and beyond. Schedule a visit with your doctor to talk about heart health. It’s important to schedule regular check-ups even if you think you are not sick. Partner with your doctor and health care team to set goals for improving your heart health, and don’t be afraid to ask questions and trust their advice. Add exercise to your daily routine. Start off the month by walking 15 minutes, 3 times each week. By mid-month, increase your time to 30 minutes, 3 times each week. Increase healthy eating. Cook heart-healthy meals at home at least 3 times each week and make your favorite recipe lower sodium. For example, swap out salt for fresh or dried herbs and spices. Take steps to quit smoking. If you currently smoke, quitting can cut your risk for heart disease and stroke. Learn more at CDC’s Smoking and Tobacco Use website . Take medication as prescribed. Talk with your doctor about the importance of high blood pressure and cholesterol medications. If you’re having trouble taking your medicines on time or if you’re having side effects, ask your doctor for help. We are prohibited from disseminating healthcare advice via email, phone, or our website. If you have questions that are not medical in nature, please call our Emergency Room at 316-300-4911. If it is a medical emergency please call 911. If you need a doctor urgently, call our emergency room at 316-300-4911 for emergency service or call 911. If you would like to schedule an appointment with one of our physicians please call our admissions office at 316-300-4500. Our Mission is to provide patient centered care through the empowerment of physicians and other health care givers enhanced by state of the art technology. We are committed to the welfare of the community and will join with other health care providers to responsibly allocate health care resources to meet the needs of our less fortunate citizens.